Season two of Galavant premiered earlier this month, but what’s next for the ABC musical comedy? Deadline reports that ABC president Paul Lee mentioned possible Broadway plans. Season two premiered on January 3rd. 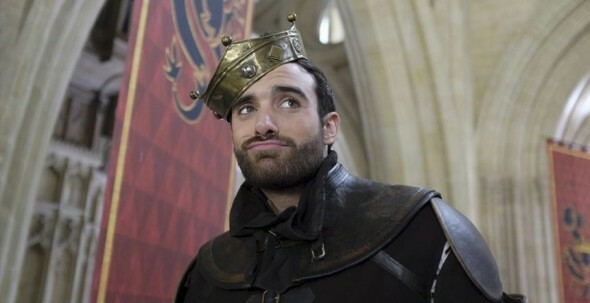 Speaking at the TCA winter press tour, Lee said Galavant was “an adorable show” and “the execution of the second season is really strong.” Season two picks up with dashing hero Galavant (Joshua Sasse) trying to get back together with his true love, Isabella (Karen David). Timothy Omundson, Vinnie Jones, and Mallory Jansen also star. Lee also mentioned that the musical series could have a future on Broadway. That may be the case. So far, season two has not been performing as well as season one in the ratings. Where season one averaged 4.83 million viewers per episode, season two has only been netting around 2.8 million. What do you think? Are you watching season two? Would you see Galavant on Broadway? Bring back GALAVANT!!!! PLEASE!!! I love this show!! I love this show. My entire family love to watch it. It is a fun show that you can watch and relax and laugh with your family. PLEASE, PLEASE, PLEASE renew!!!!!! Keep it running FOREVER! :)))) The show is GREAT! I have recorded every show. Whenever i am feeling low, it always brings a smile. Don’t EVER cancel. I loved season 1 and 2 of Galavant. Please make a season 3. The show is funny and smart. There is so little on tv that’s worth watching. Great Show!!! Please renew and let us have an intelligent,fun, clever show for season 3. Thank you! !